A number of iPhone users have reported loss of cellular data access (3G or EDGE) after the update to iOS 4.0. Reset all settings. Try this first. On your iPhone, select Settings, then Reset, then Reset All Settings. This will result in the loss of data created since your last backup, but may solve the problem. Restore, but not from a backup. 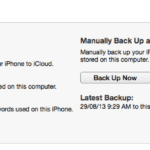 One less-than-ideal fix for this issue involves restoring the iPhone as a new device rather than from a backup. 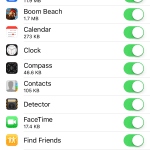 It appears that bad holdover data from iPhone backups can cause loss of data access. Restoring as a new phone will delete contacts and other data, but generally resolves this problem. Some incidences of this issue may require a DFU restore. Download new carrier settings. On your iPhone, go to Settings > General > About. If prompted for a carrier settings update, install it. Otherwise, go to http://www.unlockit.co.nz/unlockit/ on your iPhone and download new carrier settings. Really enjoyed this post, how can I make is so that I receive an update sent in an email when you make a fresh article? Bought 2, iPhone 3GS about 9 months ago. About 3 months ago, one started dropping calls. I spoke to ATT & Apple. ATT did some things to “reset the phone to the tower”, so they say. Apple did nothing. The problem began getting worse. If I’m talking on the phone and get a text, the call will drop. Always shows 3 to 4 bars in signal. Called ATT 9 times since the problem started, called Apple 3 times, and ATT also did a 3 way conference call with Apple & me, twice. Apple swears it is a software problem with ATT sim card, so ATT replaced the sim card. Did not help. ATT swears it is a hardware problem. Long story short, I have been paying over 100.00 for the past 3 months, but can’t make calls longer than 20 seconds. Home button also started acting up. Sometimes you have to push it very hard several times to get any reaction. And you have to push it on the right hand side of the button or it will not work. Apple finally gave in, because the hardware warranty is still good, and said to take it to the local Apple store for replacement, because of the home button, not because it was dropping calls. Well, Apple store in Lafayette Louisiana does not handle iPhones….hmmm there’s a kick in the teeth. Apple tells me to go to THAT store, but that store is useless when it comes to phones. So, I bring the phone back home, and called ATT again. This time to cancel the account. I have been a ping pong ball between Apple & ATT long enough. Again, they do conference call with Apple, but now Apple wants 35.00 from me to send them the phone… why?? The phone only weighs a few ounces, I can FedEx overnight for about 15.00. I refused to pay anything. It’s under warranty, and they have been shinning me on for 3 months. I told ATT that I wanted to end the conference call with Apple and proceed with canceling the contract. ATT said I had to pay a penalty for canceling early. I told them to take me to court, I refuse to pay that also, simply because I have paid over 300.00 in the last 3 months for service that I didn’t get. The phone is a great iPod, but a terrible phone during the last 3 months. So, then ATT steps up, and offers me a free phone upgrade, 3 months early. I was surprised, but interested. I refused their offer for another iPhone, simply because of Apple. I would never ever buy another iPhone. Not that they are all bad phones, but because support is non-exsistant, even with warrenty and Apple care. Apple has offered absolutely no support in the past 3 months. They have done nothing all the way through this nightmare, but blame ATT’s network, which is bull. I can use the other iPhone, make a call and talk for hours, hang up, call the same person with the bad phone, and the call drops within 20 seconds. I know it’s not the network. I did take ATT’s offer for the HTC 4 Inspire. My total out of pocket cost for this phone was 4.06. ATT waved all the fees and didn’t ask me for anything except 4.06 which was some kind of tax that they couldn’t get around. So, be careful spending money on Apple care…. because Apple, really doesn’t care! Yay it worked by resetting the network settings! Thanks! TQ dom for this … It certainly helps …. i had the “No Service” issue with my iphone 3g after updating the firmware to 4.2.1… for the life of me i couldn’t figure out why my phone would lose all of the network information after i restored it from backup… then i realized i backed it up in airplane mode (which is essentially a state of “No Service”), so basically i was backing up my phone with no network information at all. the fix is really simple for this however! if you are experiencing “No Service” after updating/backing up in airplane mode, just put the phone back in airplane mode for a minute or so and when you turn airplane mode back off, all of your network information will return and viola! back in business! let me know if this works for you. I tried everything above, then I ran across iwillholla’s post about ultrasn0w. As soon as I installed it, BAM! Everything started working again! Guys, thought of leaving a meaningful comment here: here is what I had: iPhone 4 OS 4.1 AT&T USA version. There are couple tricks that you will need to be aware. I didn’t know this but tried it and it actually work, my EDGE/3G internet access is now back online. 2. 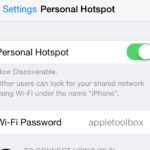 Use your phone and access the Wi-Fi hotspot, use Safari and enter the following address: http://www.unlockit.co.nz/#_home from your iPhone! I restored my iphone 3G when I shouldnt have as i live outside the UK and the US. I bought it in the UK and I live in asia. It was then on recovery mode..the one with the USB and itunes icon connecting and i could only make emergency calls. I then blackra1n it and finally it works! wifi is ok.. only problem is my sim card is invalid. how do i unlock the sim card?? it shows ‘No Service’ pleeease please help! Erica in message number 13 above had an easy solution! Turn on airplane mode for a few seconds and then turn it off. Service comes right back on! Try this first before all that long drawn out stuff. Resetting under settings worked for me. I had the same problem on stc network in KSA, I just changed the Apn settings: jawalnet.com.sa, but left the username and password blank. I hope it will work you according to your own network apn. http://www.unlockit.co.nz/unlockit/ – Solved…. glad I find this here… Thanks a lot! couldn’t find my carrier on http://www.unlockit.co.nz so i went to http://www.iphone-notes.de/mobileconfig/ and found it! installed the profile and now my 3G working again!!! i just got my iphone 3Gs yesterday and found out that it was jailbroken instead of officially unlocked by the previous carrier/apple. and it was already upgraded to 4.0 by the shop owner. but when i tried to configure the internet for my phone (i’m using goTalk Australia for my iPhone) but there was no APN setting and I just got lost from there. pls help me anyone. opened it in my PC. Sent config file in e-mail. Opened my e-mail through wifi in iphone and thats it.. all done !!!! Heres how I got it working. 2. Look for supreme preferences 3.0. Install. 4. Go to settings/supreme preferences 3.0/applications/phone/ switch on cellular data editing. I had a iPhone 3GS (new boot rom) jailbroken with Spirit. Installed iOS 4, lost cellular data and voicemail. MMS still worked. The new carrier settings fixed my cellular data problem! But still no voicemail? I’ve tried resetting network settings, retstarting, etc. Any one else have this issue? I had to go through a “Settings” > “General” > and set up some of my personal settings again… but everything else is still on my iPhone : ipod songs and albums, photos, folders and apps, etc. RESTORE YOUR PHONE AS A NEW PHONE FOR 4.0 : MAKE SURE ALL YOUR MUSIC PICS CONTACTS ARE ON ITUNES. THEN ONCE DONE OPEN REDSNOW, AND SELECT YOUR IPSW YOU DOWNLOADED, THEN UNBLOCK INSTALL CYDIA BUT KEEP MULTITASKING ETC. ONCE DONE YOU WILL HAVE EVERYTHING BACK! YEA….so basically — DO NOT Check mark “CYDIA” but do select multitasking and wallpaper…..after doing this….my iphone will have multitasking, wallpaper & MMS???? So do not install Cydia? the unlockit site worked for me. thanks! I have been searching all day to figure out how to get my data connection tab back on my 3G (jailbroken with redsn0w & unlocked with ultrasn0w) after upgrading to 4.0. This solution worked perfectly!! I had to generate and have the mobileconfig file emailed to myself using my PC (the site does not work from iPhone safari). I have a iPhone 3G running iOS4 and it is JB and unlocked. PS – I do not have MMS enabled so cannot confirm. I used some websites and did a whole bunch of resetting this and that to fix the MMS and tethering issues for nothing. You fix APN then MMS doesn’t work so I finally came across this. 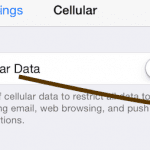 You will finally have Cellular Data Network option on your iPhone settings/network option. After you do all this just key in your APN, MMS and Internet Tethering info. When I connected back to iTunes and set it up as a new iPhone. It worked like charm. I spent all of Friday afternoon and night resetting this and that but this simple solution fixed it all. The airplane mode worked for me. Had no service after I upgraded to 4.0. DO a restore and activate a new phone, it will sink and I have service now… I have been miserable the last 2 days trying to get this crap done!!! This website worked great for me! It sent me an email with a download that changed the APN settings that I was previously locked out of. I now have 3G in Ukraine using Utel. Restore to factory default (not from backup) in iTunes worked for me. Reset on iPhone was nogo. I get cannot install due to an unknown error. This is all bull. can anyone else help? or something like that, so i unlocked it with ultrasn0w and everything but i get no service at all. My phone had the same issue. AT&T brushed me off onto Apple and vice versa. I took the phone to the local Apple retailer. They did their thing and finnaly just replaced it since the 1 year warranty had’nt yet expired. No success in determining what the issue was with the store techs. 3g worked great till I got home and synced to iTunes! Again no 3G. The phone displays its on the network in the top left of the status bar, but pages don’t load. This time I restored the phone as a new device and so far it seems to have worked. is. I am certain though that no one should expect enthusiastic support from AT&T or Apple over via phone call. They both spun it to me as “cellular network” problem, as in its down. Neither acknowledgded that the 4.0 software push was not without its bugs. So I finally broke down and RESTORED AS A NEW iPHONE!! I’m gonna punch one AT&T employee for every text I lost! I can not access unlockit today either. Does anyone know if this is temporary? I can’t seem to access unlockit.co.nz, does anyone know of a mirror or another way to change the APN settings? Is anyone else having issues accessing unlockit today? I also was running of 3.1.3 jailbroken and am having the same issues after upgrading to 4.0, I think my only option from here is restarting without backup and starting over. I upgraded to 4.0 and sure enough, I’m having this same issue. The unlockit fix took care of my 3G data services, but I still don’t have MMS capability – and for some reason my visual voicemail doesn’t work either. http://www.unlockit.co.nz/ was the solution I tried first and it worked. Thanks. 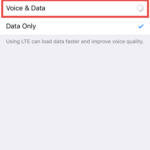 what is the apn settings for at&t us? I had no service. I tried the idea above about turning airplane mode on, then off. That worked for me. I turned Airplane Mode “on”, waited a few seconds, and turned it back “off”.. 3G came back right after. http://www.unlockit.co.nz fixed my internet / data connectivity on Orange UK! However I still can’t use MMS. Is there a fix for that? On my version of 3GS I can’t put in the cellular data manually… I know what the MMS settings should be how can I input them? This my internet / data connectivity on Orange UK! My version of 3GS I can’t put in the cellular data manually…. What can i do if my carrier isnt in the list??? of http://www.unlockit.co.nz/. 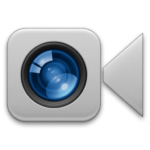 i’ve tried everything on here besides restore and lose everything which i really, really, really don’t want to do…. and i still have no service. I had the same problem. I just did a hard reset by pressing the power off button together with the home button for 5 seconds. After the reset it was all back to normal. Same as Jason, fixed data but no MMS. Anyone else get MMS fixed? New apn fixed the no data, but my mms is still missing. Any suggestions? I’ve been searching for a fix for hours. I went straight to http://www.unlockit.co.nz/ without changing everything in my phone (3GS) and by creating a new ATT profile, all problems were solved. Thank you!! After trying everything besides restoring my iPhone to factory settings and losing all my data I visited http://www.unlockit.co.nz/ and loaded new APN settings for my 3GS and now all is well. I’m glad I didn’t take my carrier’s advice and wipe my iPhone! Thanks for pointing me to Unlockit NZ. That fixed a problem that took up my whole evening! I’ve credited you on my blog. Thanks again!